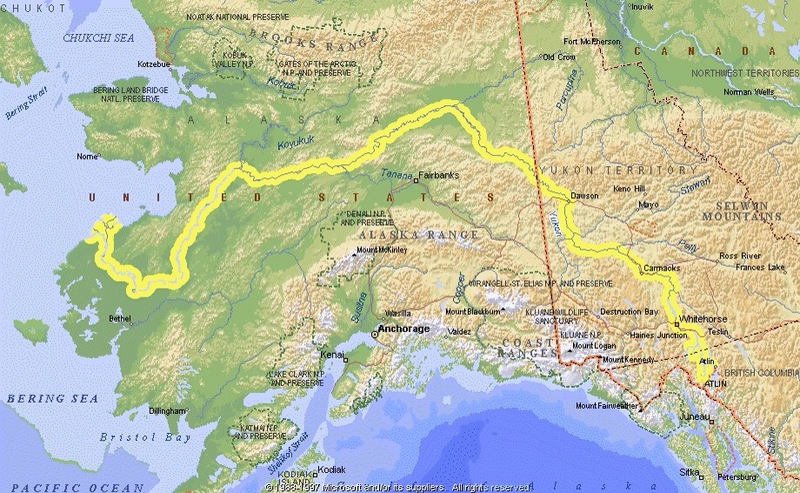 Imre and Andras Kabai (father and son) are kayaking from the source of the Yukon River to its end at the Bering Sea. We are trying to raise awareness and funds for the Blind Judo Foundation. How long is this trip and how long will it take? Our journey will be 1980 miles long! We will be on the river for 44 days. The plane tickets home from our final destination give us a concrete deadline. The Blind Judo Foundation is a group that seeks to promote the welfare of the visually impaired through the sport of Judo. It can be difficult for these persons to find suitable forms of exercise. Blind individuals are able to enjoy the sport the same as sighted individuals and can even compete on equal footing. Why choose the Blind Judo Foundation? Our entire family has practiced and been involved in the sport of judo for many years. We met Willy Cahill, co-founder of the foundation, many years ago as a coach. After receiving so much from the judo community as a whole, we would like to give something back. How have you guys been preparing for the trip? Most of our training has been on a stationary kayaking machine in our home. Imre has kayaked close to 140 hours on the machine in the last few months! We have also been researching and preparing for the various obstacles we will encounter including the weather, shortage of food, and bears. The first-hand experiences and advices of individuals who have done this before have been invaluable in our preparation. We are very grateful for any donations you wish to provide the Foundation. You can find them at http://www.blindjudofoundation.org.